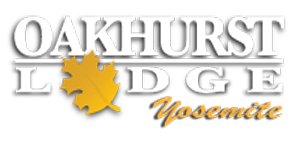 The Oakhurst Lodge Yosemite staff is friendly, well-trained and very familiar with the area. Allow them to assist with suggestions and reservations to suit your schedule and interests. Stay a couple of days or a couple of weeks! Learn to fly fish or water ski. Rent a boat at beautiful Bass Lake. Take a picnic and ride the Yosemite Mountain Sugar Pine Railroad. Hike year-round in one of the incredible giant Mariposa Sequoia groves. Adventure travelers can hike, ski, snowboard or rent snowmobiles in the area, go climbing in Yosemite and more. Liesure travelers are invited to browse our local shops, golf at one of the three area golf courses and follow the Madea Co. wine trail. Explore Fresno Flats, the Wassama Round House, the Talking Bear and the Children's Museum in Oakhurst with your family. Stay at Oakhurst Lodge Yosemite this winter for easy access to outdoor fun!